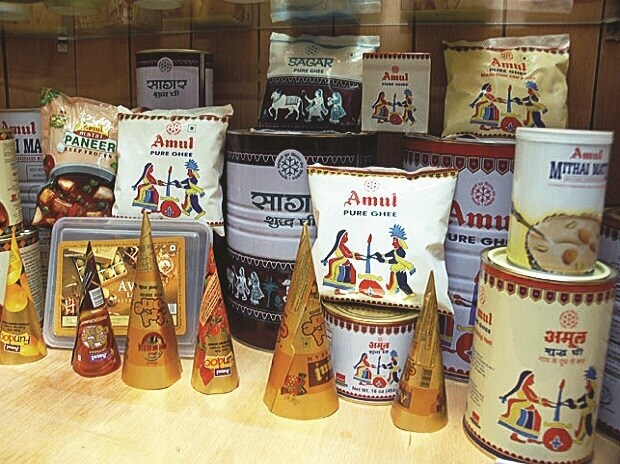 Dairy major Amul on Saturday reported an 18 per cent increase in turnover at Rs 27,085 crore for the last fiscal on an across-the-board sales increase. Gujarat Co-operative Milk Marketing Federation (GCMMF), which markets Amul brand of milk and dairy products, had posted a turnover of Rs 22,972 crore. The turnover of GCMMF has increased by about 3.5 times in the last seven years. "We have achieved volume sales growth in all product categories," said R S Sodhi, Managing Director, GCMMF. Pouch milk, the highest turnover product, has shown volume growth in double digits while products like butter, ghee, ice cream, UHT milk, flavoured milk, paneer and fresh cream have also registered a double-digit growth. Sodhi asserted that there was no negative impact of demonetisation on its business. He added that member unions of GCMMF have opened more than 12.5 lakh new bank accounts for milk producer members and their almost entire payment is channelised through bank accounts. GCMMF has been achieving a compound annual growth rate (CAGR) of more than 20 per cent for the last seven years because of higher milk procurement, continuous expansion in terms of adding new markets, launching of new products and adding new milk processing capacities across India. Amul plans to step up its milk processing capacity to 380 lakh litres per day, from the current 300 lakh litres, in the next three years, said Jethabhai Patel, Chairman, GCMMF.